If you've ever had the good fortune of flying on Virgin - either domestically or overseas - you'll know they make you feel like a rockstar. Well guess what? So does their wine club. 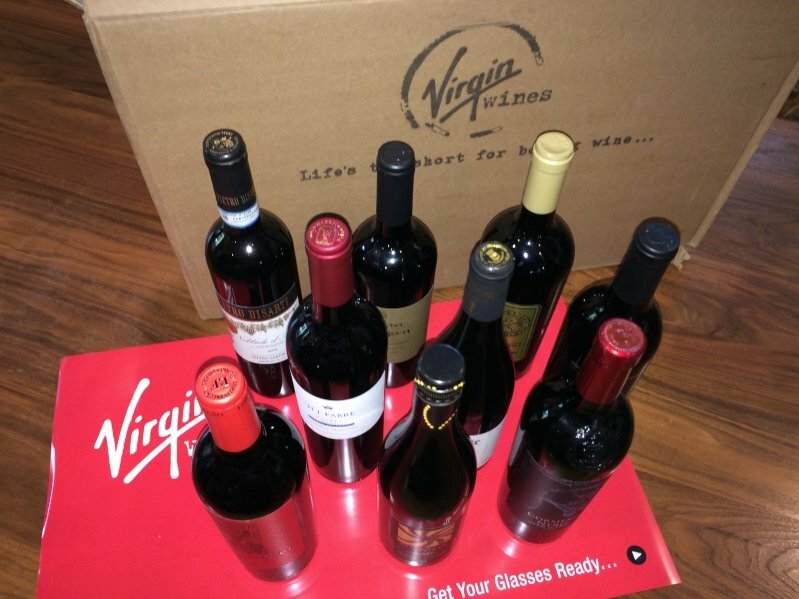 Unboxing The Club from Virgin Wines is fun, exciting, and delicious, all at the same time. Let's get started. First of all, they're committed to making your sipping experience interesting. So committed, in fact, that they call it out right there on the box. 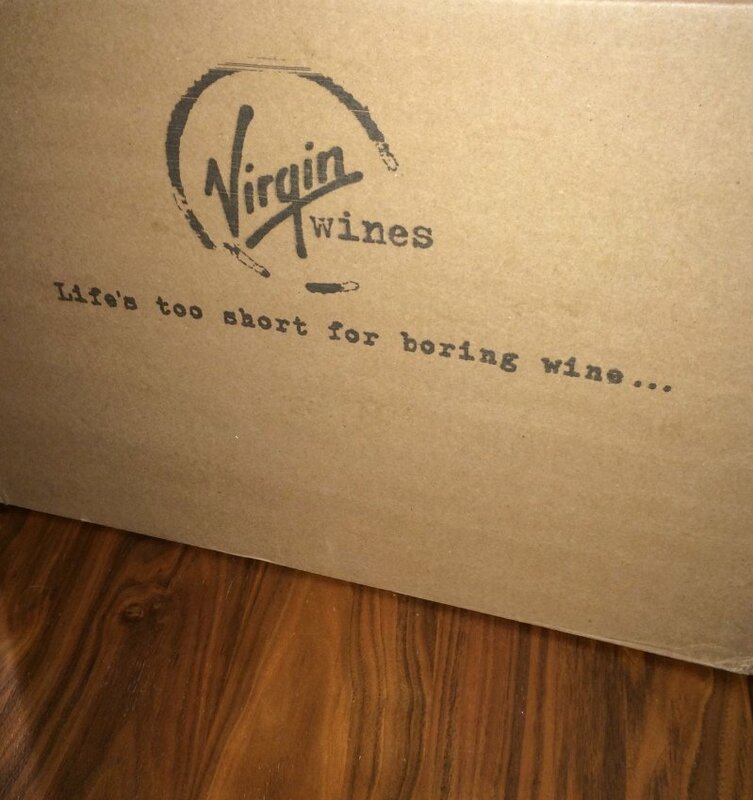 No boring wines allowed here, thankyouverymuch! 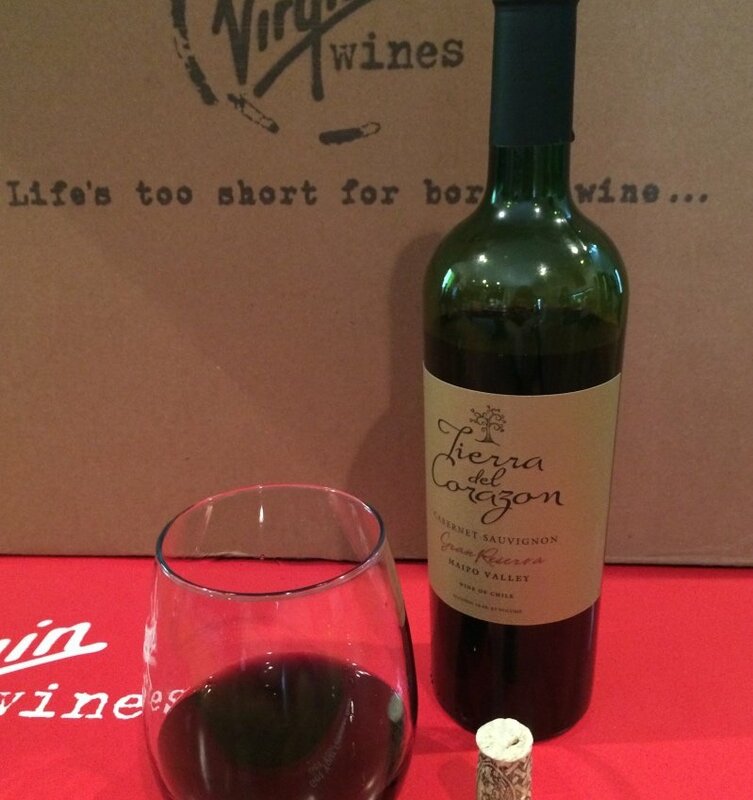 The Virgin Wines introductory offer is pretty fantastic as cost-per-sip-of-greatness goes. Their normal delivery runs $139.99 plus S&H ($19.99), which is a good deal in and of itself. For the first box they only charge $69.99 plus S&H. You're getting half off what's already a good deal - that's how sure they are you'll like what you find in the box - plus you get a pair of Riedel stemless glasses included, making it easy to share your new haul with a loved one or random stranger. 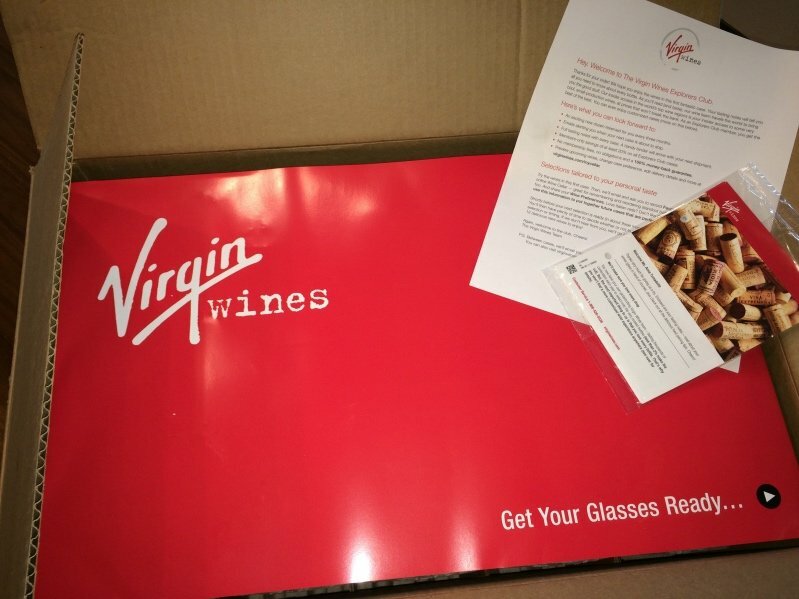 Pop this box open and you're greeted with Virgin's signature red, and some detailed tasting notes for each bottle. 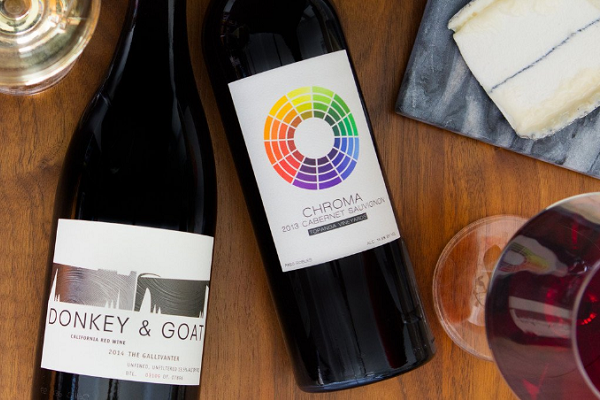 The tasting notes give you the background to the bottle itself, where it's from, the grape(s), plus solid recommendations on serving temperature and food choices. 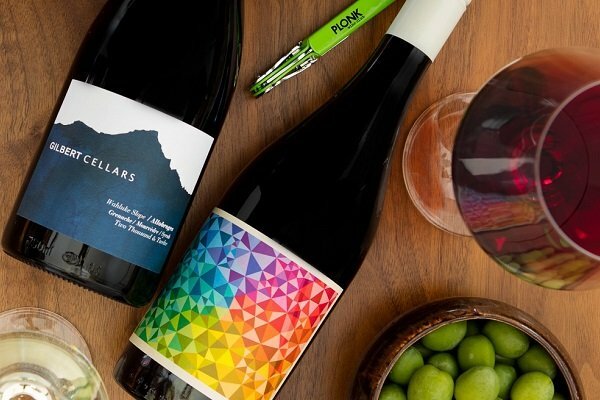 You can make your own notes, and then save your selection at My Wine Cellar from VirginWines.com to keep track of what you really like, and what you'd like to see in your next case. But wait! 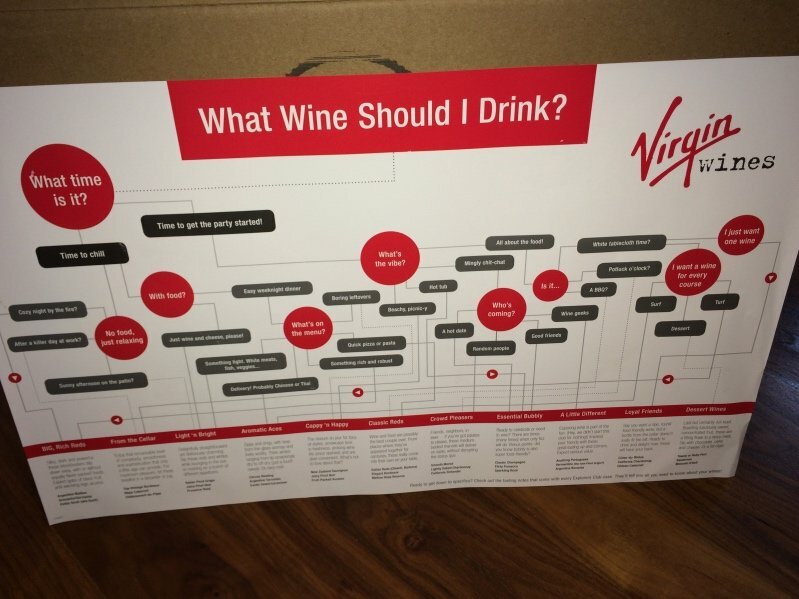 Flip that bright red poster around and guess what - Virgin has figured out a way to gamify your wine drinking experience. It's a darn good thing, too, that Virgin is up for guiding you, because they certainly don't skimp on the selection they include in their first delivery. Our all-red all-the-time household was thrilled at the options - nine in total, with some twins for the best of the bunch. While we'd normally be making a beeline for the Nebbiolo d'Alba, we decided to let Virgin Wines tell us which wine we should actually be drinking today (eh, tonight). We took a few steps in the right direction (towards an open bottle, that is), and we landed on the Tierra del Corazon Cab Sauv. Based on the tasting card, we had no choice but to throw some burgers on the grill and turn it into a party. 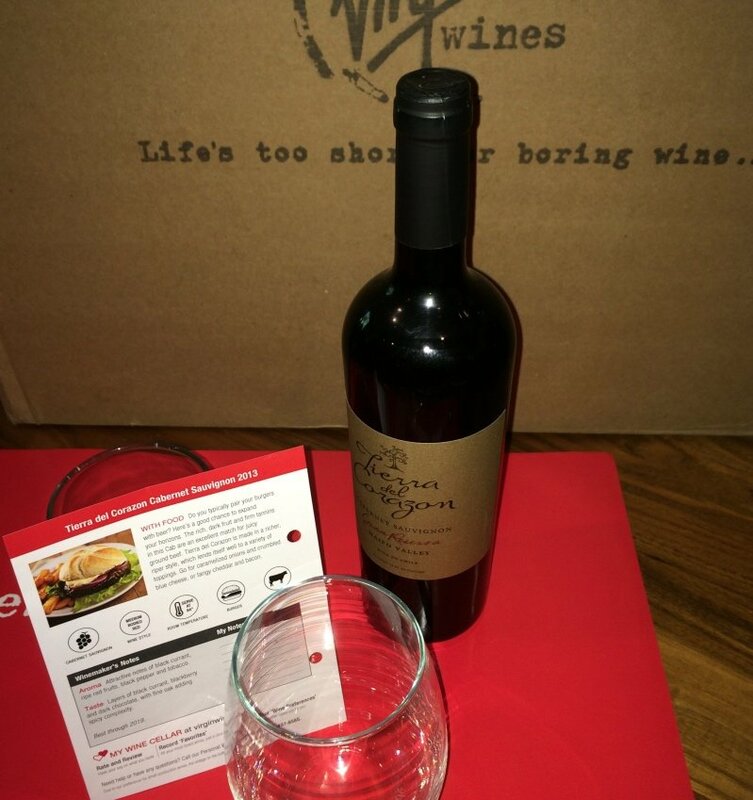 After all, you can't be caught drinking an exciting wine with a boring meal, now can you? Cheers everybody! Now hurry up and join us in The Club from Virgin. Because good wine deserves good company.